The experiment: five different loadings of .30-06 shot at 100 meters through my 1903A3. A box of 20, five groups of four, separated by 0.2 grains, on the top five-position target, starting with 46 grains of IMR 4895 under the 150 grain .308 boat tails. I warmed up the rifle with some milsurp on the bottom target and shot a few more because reasons. Then I switched to the hand loads for the top. Actually I had only 19 to fire for effect, as I’d managed to snap the last case off inside the die, where it remains today. I bought new RCBS carbide dies since. An unsupervised public range is where target changes are unpredictable at best, infrequent at worst. 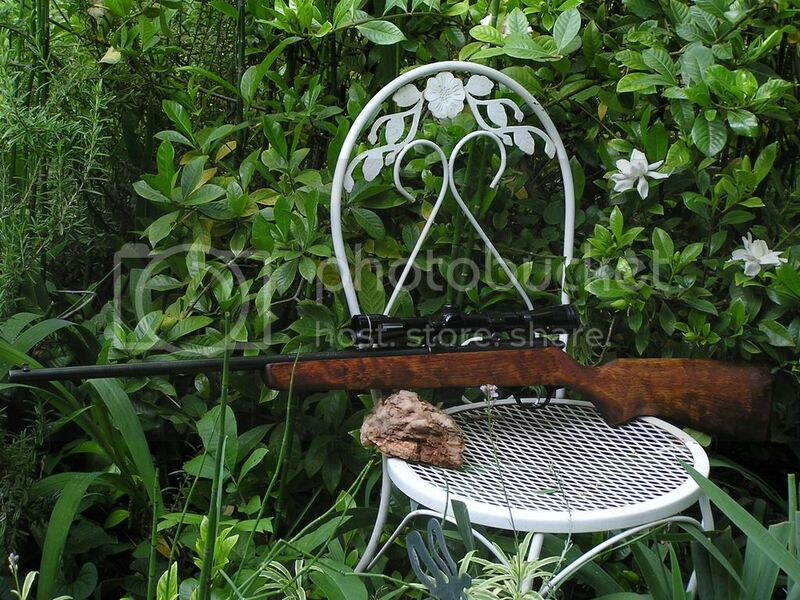 Full range that day, every table but mine stuffed with shooters and ringed by standers-about. A Corona umbrella. When I’d finished my load work, I waited for the target change behind my pine-tar finished 1970 Marlin 80 bolt action .22, topped with a little ten power rim fire scope. Many targets of opportunity presented themselves. Plinkage. I busied myself keeping busy when a red beard in a green cap taps me and motions to the empty seat at my table. I nod. He sits with his Ruger 10/22. He pulls out one of those reactive targets with four arms like anti-tire spikes, orange paddles at the end of each so when you hit it, the thing jumps and lands with another paddle up. He tosses it out to like 25 yards. He eyes my Remington Golden Bullets and his identical full box. He points at the bouncer and makes a sweep gesture out toward the vast expanse of range. I nod. My Marlin had a seven round magazine, his Ruger a ten, with a ten power scope as well. We pretty much swapped shots, settling into an unspoken rhythm. He sat on my right, so his brass flew away from us, and mine just plopped down. Paddle rang “pink” when we hit it. We shot for maybe twenty minutes, the time it took to get the popper out to 100 meters, near the target stand I had to retrieve. Turns out the Golden 36 grainers could not jump the jig unless you hit the paddle above center. Center or below wouldn’t quite spin it. The higher above center, the farther it would jump, paddle about the size of a beer can bottom. (First thing come to mind, somehow). The Marlin and the Ruger both delivered pin point shots. Really fun shooting. “Tschitt” went the .22’s in my muffs. Tschitt, pink. Tschitt, pink. Load, load. Tschitt, pink. All clear, so we stood up in our ears. I motioned out to the targets; he nodded and bent into his range bag. I go-get my target. My third group was tightest of the five, I noted in my range book, circling 46.4 gr. I slipped the PVC target-stand parts dangling blue tape into the bag made from old Levi’s. Reduce, reuse, recycle. Reload. With his rifle locked in the car the guy walked his target stand out toward the 400 meter berm. That’s a long hike, and I didn’t feel like waiting on the mosey-back, so I waved. He waved. I trunked up my few things and drove home with “the grin,” and a warm fuzzy for the kind of folks met from time to time shooting targets at an unsupervised range. I’ll remember that guy for a while.